If you have a heartbeat that’s considered irregular, you may benefit from a pacemaker. 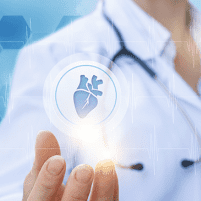 At Healing Hearts Clinic, with locations in Conroe, The Woodlands, and Huntsville, Texas, the team of cardiac specialists can evaluate your condition to determine if you need a pacemaker, oversee its insertion, and manage it once you have one placed. Call the office or book an appointment online to learn more about the process of getting and managing a pacemaker. A pacemaker is placed in your chest during a minor surgical procedure to help regulate your heartbeat. The device consists of a generator and leads, or wires. You may need a pacemaker due to arrhythmias, or cases in which your heart rhythm is abnormal. These abnormalities may occur due to the natural effects of aging, genetic conditions, or medications. Should you have a condition requiring a pacemaker, the team at Healing Hearts Clinic explains in detail why they believe a pacemaker is the best course of treatment for you. Your heart has four chambers, two on the left side and two on the right. When your heart works properly, the chambers work in coordination. If your heart beats too slowly or too quickly, you don’t get enough blood flowing through your body. This may result in symptoms including fatigue, shortness of breath, and fainting. The regularity of your heartbeat is based on electrical activity created by your body. When this isn’t working as it should, the pacemaker steps in to create the electrical impulses necessary to create the contractions of a normal heartbeat. What precautions do I need to take if I have a pacemaker? In the month following the implantation of your pacemaker, you may need to avoid vigorous exercise and heavy lifting. You may have lingering aches or pains where the pacemaker was inserted. You can still use a cellphone, but should avoid putting it directly over the site of your pacemaker while the phone is turned on. You can pass through metal detectors as usual, but may be flagged by security. You may also face restrictions when it comes to MRIs or shockwave therapy. Discuss limitations with the team at Heart Healing Clinic. Certain power equipment, such as welding equipment and high-voltage transformers, can affect your pacemaker. If you have a pacemaker or need to get one to regulate your heartbeat, trust the cardiac providers at Healing Hearts Clinic. Call for an appointment or book one online today.